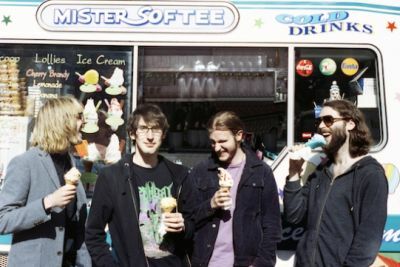 East London’s indie-rock outfit, Dry the River released their debut album Shallow Bed in 2012 to mixed reviews from the critics but gained a loyal following of fans. 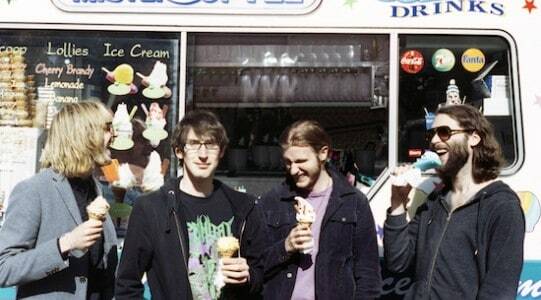 This year saw the band release their successor to Shallow Bed, Alarms in the Heart which showcased a slight curveball from their folky beginnings of and taking a step firmly into the indie-rock genre (not that they like to be pigeonholed of course!). Alarms in the Heart is familiar in patter, from the theological and medical linguistic crafting solely written by Pete, to the three part harmonies which fill any gaps that might be left to fill. However there is something fresh and raw in the recording, the seamless blending of climatic grit with an intense musical ascent. We caught up with Matthew Taylor (lead guitars/vocals) to reflect on the journey so far and their process from conception to recording. S] How do you feel about ‘Shallow Bed’ as a record a few years on? S] ‘Alarms In The Heart’ has a certain rawness in the production, can you tell us about your process from writing to the actual work done in the studio? M] “The initial idea was to make this album quickly and release it quickly, stay on the same path in terms of touring and just keep on going. It turned out to be very difficult to achieve what we wanted to in the time that we’d allowed ourselves. We spent two or three months writing at the start of 2013, and went out to Iceland with producer Charlie Hugall for six weeks to record. It was an amazing trip, very intense but helped by our amazing surroundings. Who is the female vocalist on ‘Roman Candle’? For ‘Shallow Bed’ Pete wrote all the lyrics, was that the same for this album? In reference to the lyrics; there is a lot of abstract theological and medical grounding and intense imagery in the terminology, can you tell us a bit about that? M] “It’s always been a tool for Peter I think, to use the imagery you’re talking about, to add weight to what he’s writing about. It’s rich imagery, and the ideas are ones that people can relate to easily, if there’s that familiarity there. S] It’s interesting to me that the strong religious overtones don’t seem to alienate or attract your listenership – why do you think that is? S] What causes the most arguments in the writing or recording process? S] What is each member’s quintessential track from the album Which defines where the band is at this moment? The album showcases a creative approach to the way you use your instruments, there’s something very fresh about it – is this something you wanted to achieve? S] When you were writing and recording the first album you were all living together, is that still the case? How does that affect the dynamic of the band? S] This album seems to have a lot more post-rock influences, dramatic climbs and climaxes – was this intentional? S] With Will leaving the band will you be recruiting for a new violinist? How has the dynamic changed? S] You guys are often on the road, touring hard, what are your intentions for touring this album? S] As a magazine we’re based in the North East, any plans to come this way? S] Anything else you’d like to share?